Hi there! 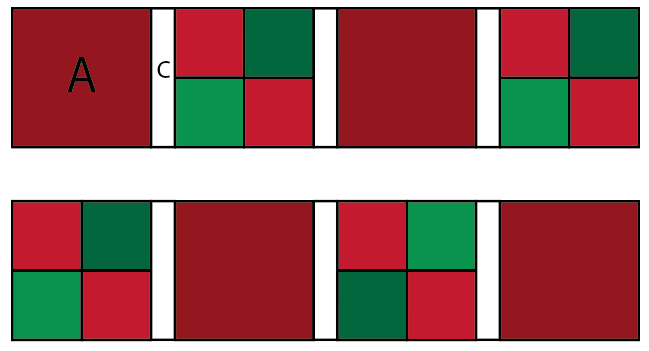 We are back again with this week's Christmas Blitz project! 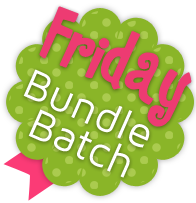 We are mixing things up today - we are sharing a new bundle + a Tea Towel project! Scroll down for all the details! 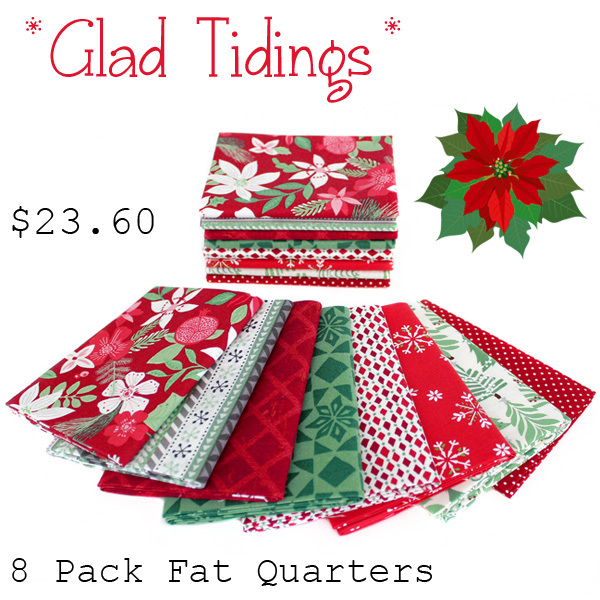 Glad Tidings packs traditional red & green colors in an assortment of pretty holiday prints. 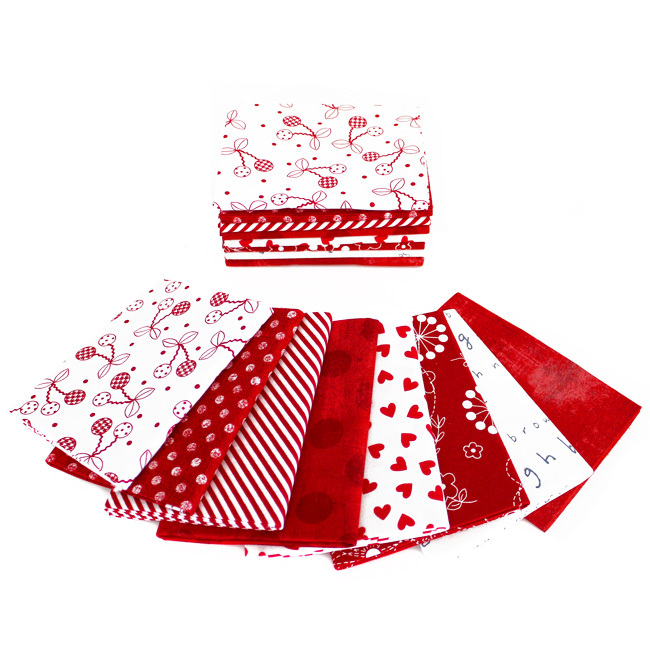 This bundle features Kate Spain's Merry Merry Collection from Moda. Curated by FWFS. 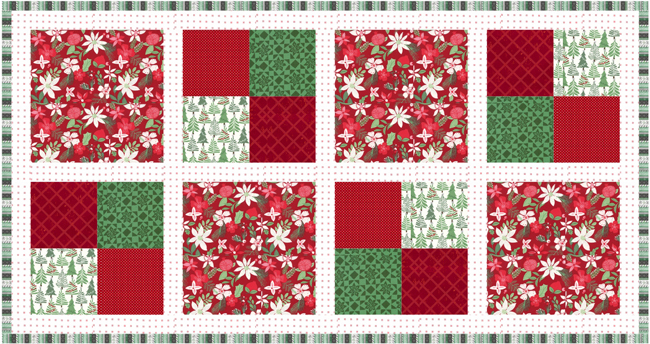 Today's featured bundle is Glad Tidings - this is such a pretty, traditional bundle of red and green! I wanted to share a quick and easy project featuring today's bundle! 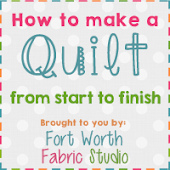 This is one of my go-to table runners when I want a quick and easy project! 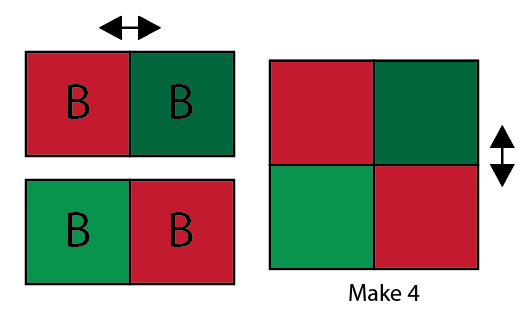 Take your B squares and make four 4-patches. 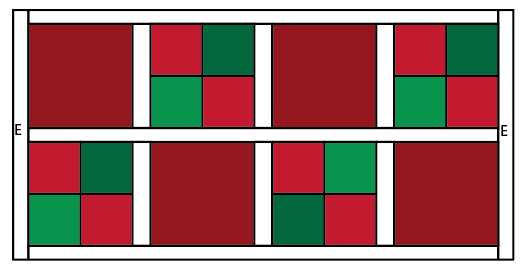 Should measure 7.5" x 7.5"
Sew a D strip in between the rows and on top and bottom. Press. Sew an E strip on the left and right sides and press. Should measure 33" x 17"
That's it - now you are ready to baste, quilt and bind! For a coordinating project with this fun table runner, we made some fun Tea Towel kits! 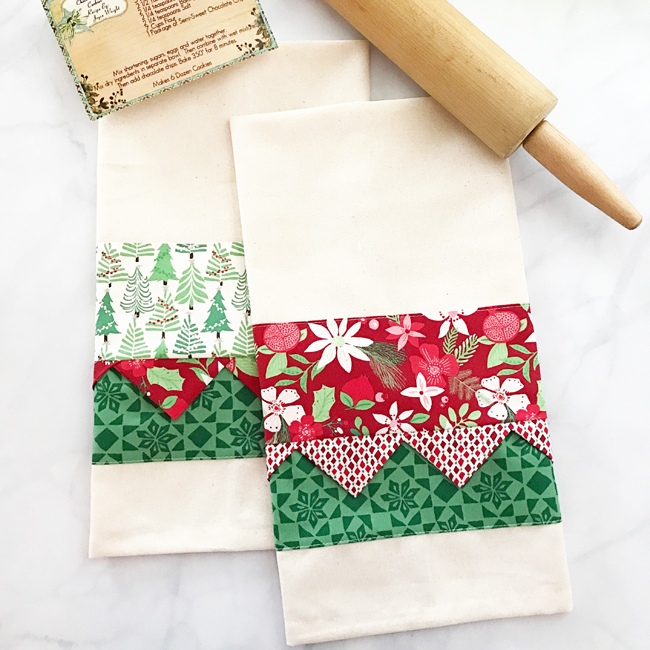 Tea towels are one of my favorite items to give during the holidays! Handmade gifts are the best gifts in my opinion - and now is the time to start working on them! I love doing holiday ones because you can give them a little early - and the recipient can enjoy them all through the holiday season! 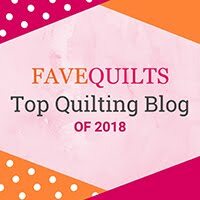 I hope you enjoyed these fun projects! Be sure to come back next week for our final bundle/project! Cute towels. 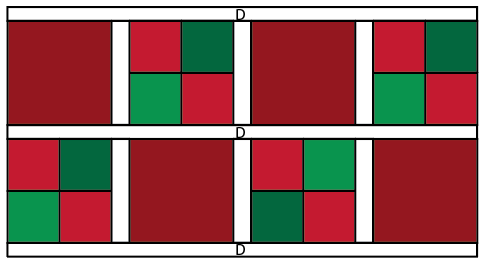 Thank you for the pattern.